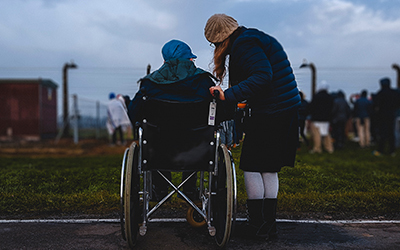 MS Society SA/NT is working with MS Australia and KPMG to survey carers to better understand your needs, and the needs of the people with MS you care for. Your insights will help us plan services for people living with MS. We invite you to participate in this research through a survey, in which we will ask about your views and experiences as a carer for a person living with MS.
We encourage all people who have/had the role of carer for a person living with MS to complete this survey. We are looking to reach as many people as possible, so please share with any carers you know. Complete the 'Consumer Insights' survey for carers.